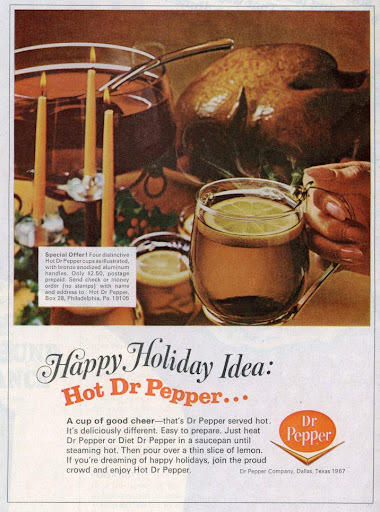 The Texan side of my family is fanatical about Dr. Pepper so my mother mentioned this phenomenon to me once. The mind feels, but I suppose I’d try it. The second and third recipes look okay. Actually, the third one looks great. 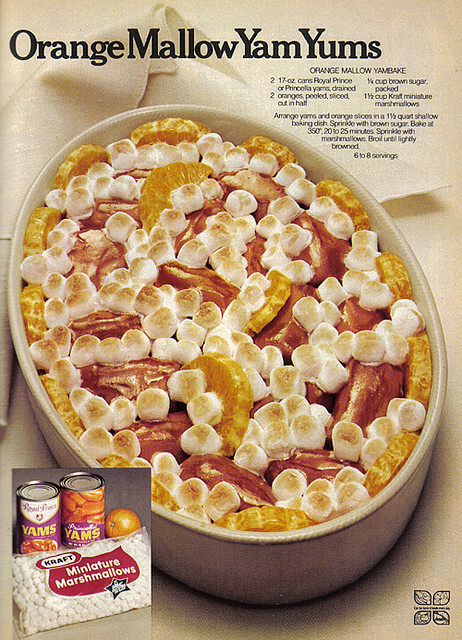 The weird thing about the second one, after Alice Waters and all that, is that anyone would think of buying canned yams. Yams seem so easy to store and ship, and peeling and chopping them takes like two minutes. In contrast to miniature marshmallows, which are best produced in factories. And happy Thaksgiving, you happy scattered band of Whatsiters! 1: “The mind feels” is a marvelous typo. 2: How did the goose turn out? 3: I miss those East Coast thanksgivings. But we are well and truly scattered now, aren’t we? How was everyone’s thanksgiving? RB and I had drinks and an inflatable turkey with friends in the afternoon, then went to her sister’s house in the evening for the meal. Looking forward to seeing some West Coasters tonight for thanksgiving leftovers! We just had our late expat Thanksgiving dinner. Lots of people, but none of you. And no oysters and martinis either. About that last ad above: RIP Whistles and Daisy*s I guess? 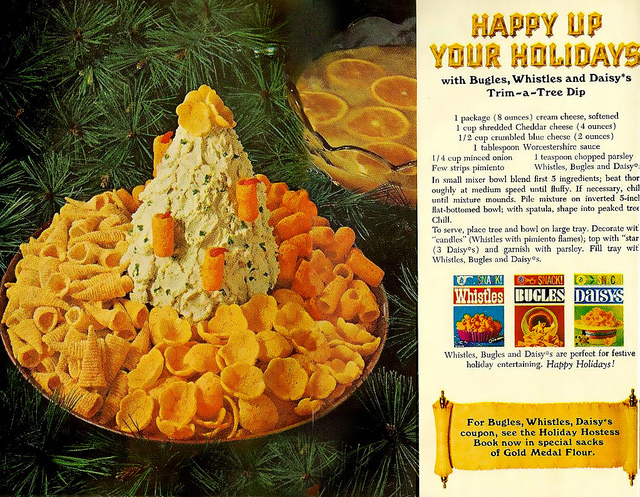 I wonder why Bugles survived and they didn’t?